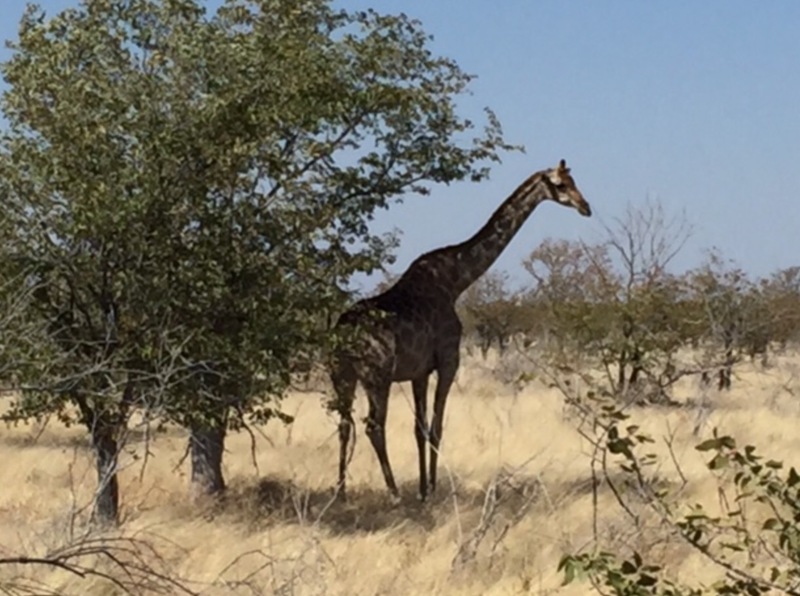 #namibia (part 3): Etosha, tourism and everything else I’ve found out! Travelling north to Etosha, we stopped at Outjo for a coffee stop and souvenir shopping. A town with government administration buildings, it is clearly on the tourist trail with a large German bakery full of tour groups travelling to and from Etosha. There is evidence the town is growing with a focus on bringing more income from tourism with a brand new souvenir and clothes shop opposite the bakery and a museum being built behind it. Arriving at Etosha Safari Lodge in the early afternoon, it was evident as we approached that this is the site of major tourism development with lodges and campsites galore as billboard and road signs along the main road advertise each one. 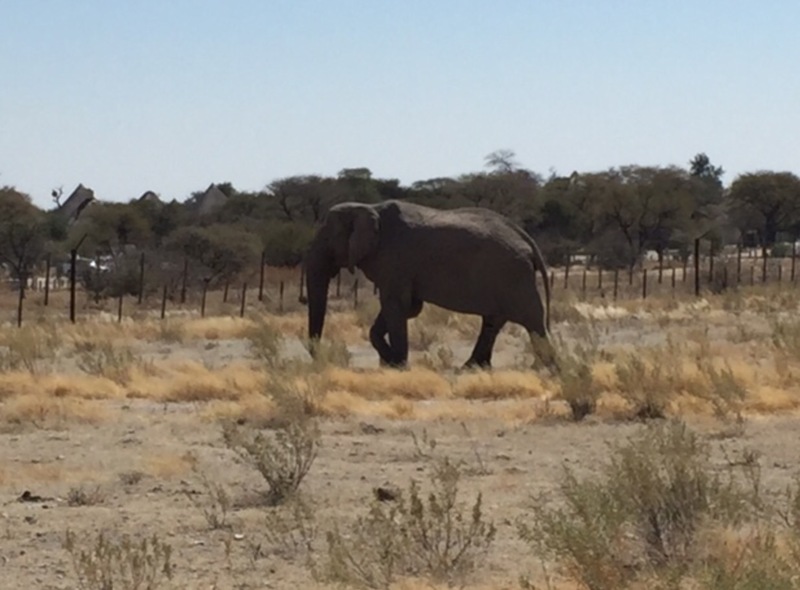 Tourism is clearly well-developed here – not that it hasn’t been evident throughout Namibia with regularly spaced picnic spots on main roads and plenty of brown ‘attraction’ and ‘accommodation’ road signs but this is a tourist hotspot. Heading into Etosha National Park for a late afternoon game drive, we joined the queue into the park at Andersson Gate (the southern entry point to the park). Security is tighter here than when I was at Kruger earlier this year and, even in safari lodge vehicles with known guides, it took a while to get in. This did give an opportunity to watch the checks on vehicles leaving the park with police looking for evidence of drones or other activities related to rhino poaching and the spraying of vehicle wheels to prevent the spread of animal diseases (foot and mouth seems to be a major concern). Etosha is home to lions, zebras, giraffes, elephants, leopards, rhinos, cheetahs, springbok, kudu, impala…and the list goes on. The savannah grassland landscape varies considerably as you drive through the park as the balance of yellow grasses, white limestone rock, grey shrubs and dark green trees changes. Animals congregate round the established waterholes that often have solar powered boreholes attached to them to ensure a continual supply of water. But what jumped out for me, in comparison to Kruger, was the seemingly clearer separation and restriction of human activities and animal habitat. There are 3 walled in compounds with shops, restaurants, chalets and camp sites in the southern part of the park with strict rules that visitors must be one of these compounds or have exited the park between sunset and sunrise. The road networks cover small areas of the accessible parts of the park, concentrating tourism in localised areas. Picnic spots and toilets can be found at other locations and are often fenced in. In Okaukuejo, the largest ‘compound’ and administrative centre of the park, a small museum and information centre talks about the park, its history and conservation efforts. For me, the information about the issue of wildfires was the most interesting as the display talked about how they aimed to severely limit the extent of, if not extinguish, wildfires until 1980 when the fundamental role of wildfires in maintaining the ecosystem balance was realised; fire is needed to manage the competition between grass and trees as the fire destroys tree seedlings and saplings to enable the grasses to flourish. Now they use a patch mosaic system of annual and monthly burns in zoned areas during the rainy season to prevent ‘hot fires’ in the dry months that can cause extensive damage. For me, the most spectacular aspect of the park has to be the saline pan in its middle; 110km long and up to 50km wide it was likely formed by a large, deep, inland lake fed by rivers from the north being uplifted by tectonic activity and resulting in the water being cut off so it gradually dried up. Stretching as far as the eye can see, the yellows and whites shimmer in the sunlight with an almost mirage-like appearance of being a glittering blue-green lake, with the occasional black outline of an ostrich, oryx or clump of trees adding contrast. The following two days gave more opportunities to see the park with an all day game drive in a 4×4 one day and an all day drive through the park to the eastern gate at to Motuki Lodge on the second. If the approach to Etosha and the Etosha Safari Lodge illustrated tourism was developed here, the Motuki Lodge is in another league. This is a resort. Spa, tennis courts, a reptile park, a gym, mountain biking, bush walks, visits to local villages, star-gazing expeditions and much more (plus the swimming pools and beautiful chalets with animals round every corner from birds to grazing oryx) make this a holiday destination in itself. This is the safari destination advertised for honeymoons and family holidays. 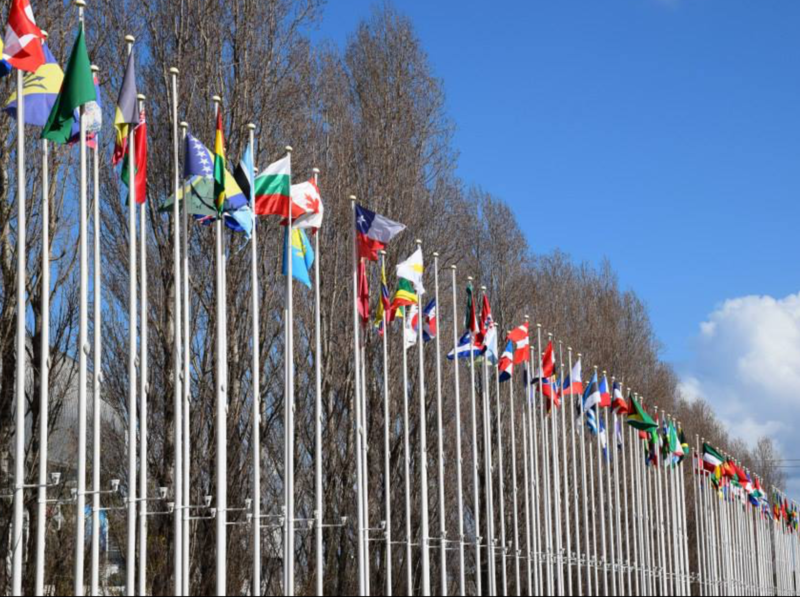 Namibia is a ‘zebra nation’ in which for every man in a position of power there has to be a women in the next position – gender equality in politics is very important and the government is 50:50 for gender representation. Education is free but the government is struggling to finance it and while we were there they were debating whether or not to start charging again – the outcome of the debate while we were there was to continue with free education for all but the money struggles will continue – there have been cases of boarding houses not receiving money from the government and struggling to buy food for the boarders. Political parties are mostly linked to tribes/ethnic groups, making Owambo people and their SWAPO party the most powerful. SWAPO, the main political party, accounts for and is supported by over 50% of the country making it next to impossible for any other party to take power in an election or even for all the other parties to join together to vote against them in government votes on laws. 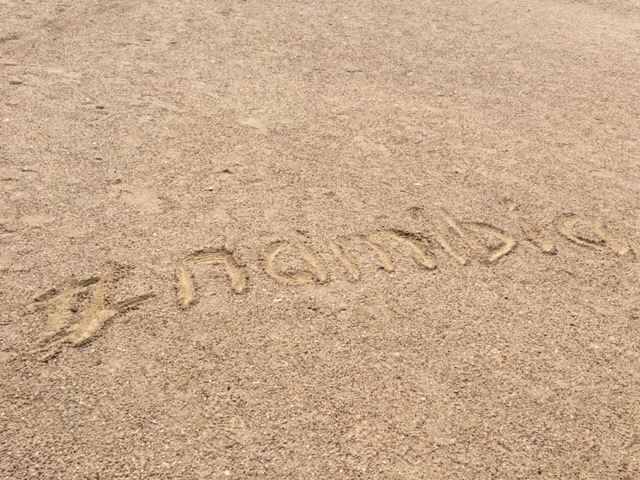 By the time we arrived in Windhoek we had driven over 2600km through Namibia to see just a fraction of the country. 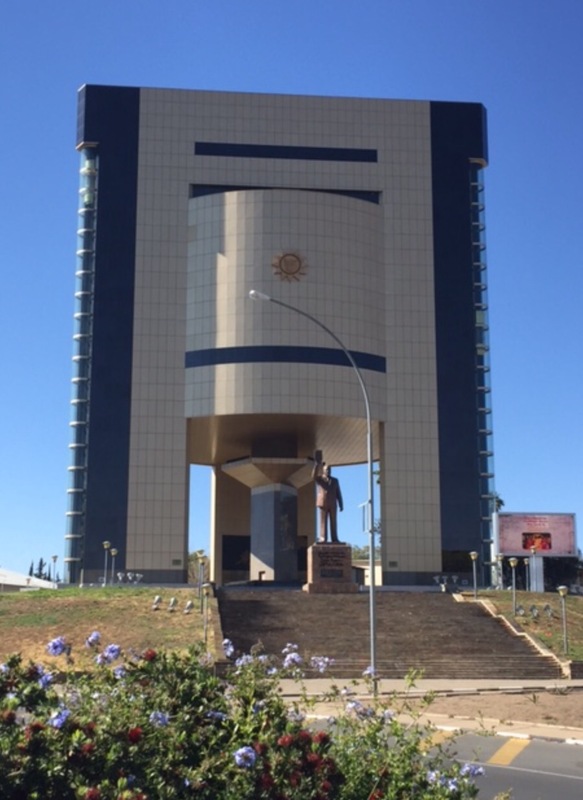 All we had time for was a quick tour of the city the next morning before heading back to the airport to fly home (the National Museum is well worth a visit with photos and artwork depicting Namibiam history from German colonialism to independence). It’s been an amazing two week adventure of stunning desert landscapes, rich cultures and an amazing animal or two. This arid environment is full of fascinating physical and human geography and I can’t wait to teach about it next term.